Over the past couple months, I’ve been doing something that I never really did much before. While I still think of it as slow and monotonous, and much less efficient than biking and other modes of travel, I’ve decided to turn a new leaf and start running. There are several reasons for my decision to take up an activity that in the past has only hurt my knees and given me cramps. 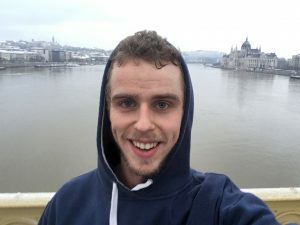 Soon after arriving in Hungary, I discovered that running is the only practical and cheap alternative for staying fit in Budapest. A number of people in my study abroad program considered gym memberships at the beginning of the year, but I balked at the idea of paying a monthly fee for a gym that was far away and less equipped than Whitman’s free gym (on second thought, should I say “free” gym?). So I decided against signing up for a membership. Then, as I was looking for something else to do, I discovered that Budapest is an excellent place for running! 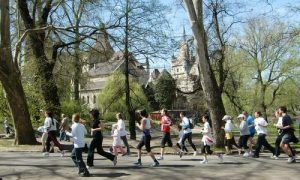 Once you get off the exhaust-filled streets, there are trails along the Danube, paths crisscrossing City Park, and even a rubberized track around the perimeter of Margaret Island near the city center. 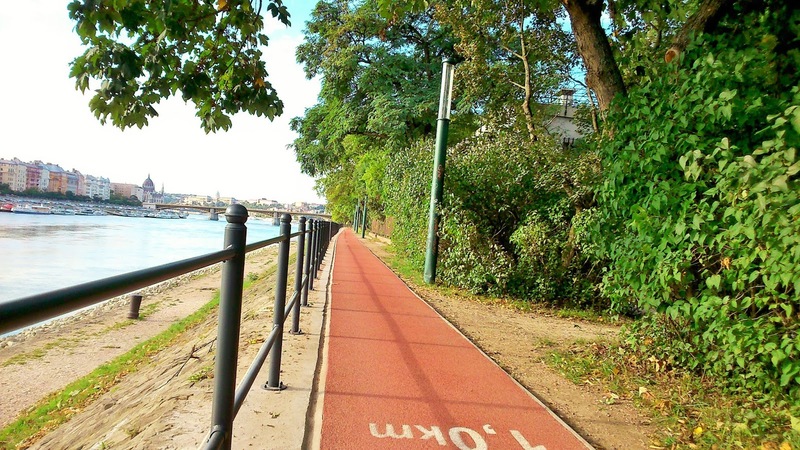 Soon after discovering these places, I began a regular running regimen. 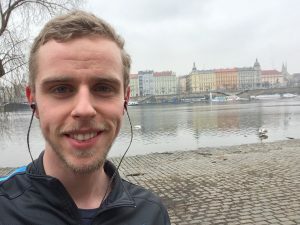 And now that I’ve joined a group of people in the reckless decision to sign up for a half marathon (coming up this Sunday, April 15—wish me luck!) I certainly can’t stop. At the Opera House and on Margaret Island. 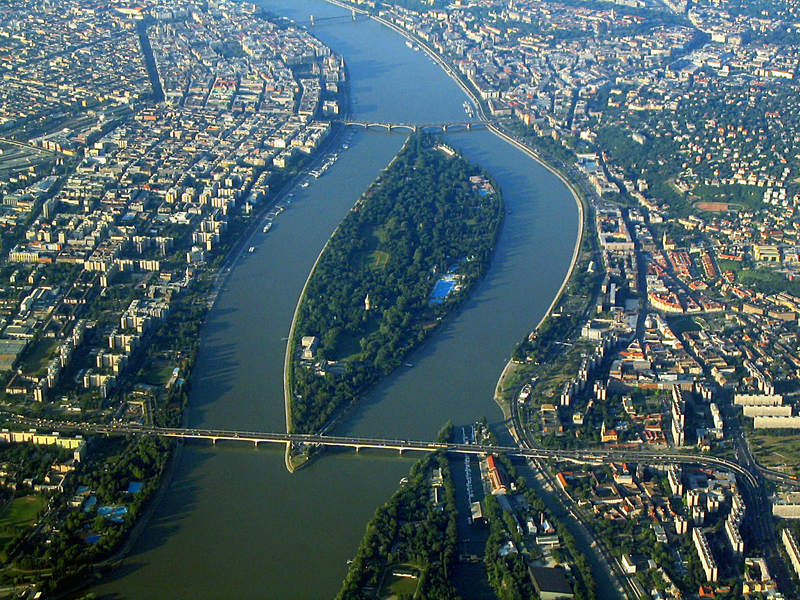 My classic run is along the major thoroughfares (also known as ring-roads, in Hungarian korüt) to the Danube. 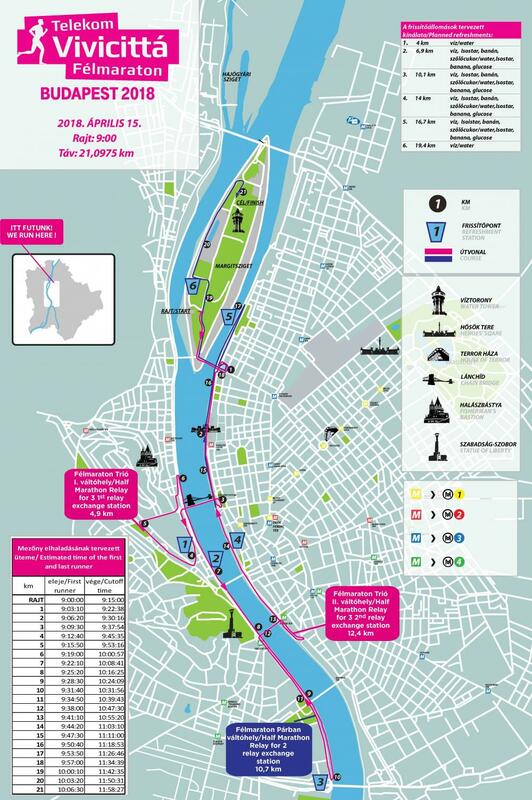 From there I run north along the river to Margaret Island, go once around, and come back by another route. My favorite part is definitely the island, which is less developed and features a rubberized track. 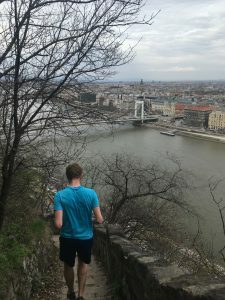 One of my first runs in Budapest. Your can’t see the snow, but it’s there! Margaret Island is one of the least developed places in the center city. This large tract of land east of city center is not so much of a park as it is a city in itself. 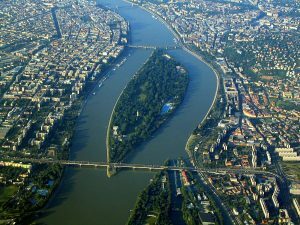 City Park contains lakes, trails, restaurants, exercise equipment, public buildings, monuments, museums, the largest thermal bath in the city, and the Budapest zoo, as well as an entire castle. 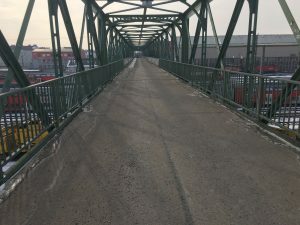 It can be hard to find a long stretch of dirt path, but crisscrossing the paved roads of the park is an excellent way to get in some solid mileage. 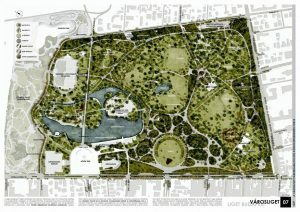 A map of City Park. It’s huge. People in a previous spring half marathon running past Vajdahunyad Castle in the park. The route for this run has changed from previous years. 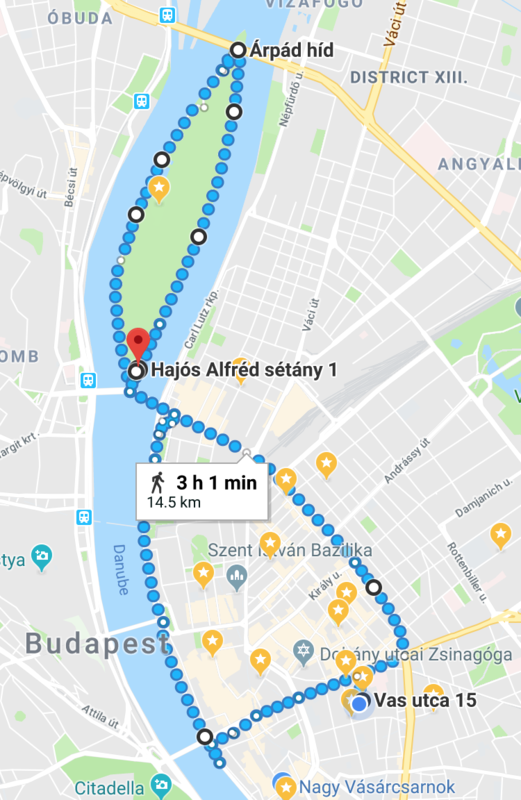 Instead of passing by the famous landmarks of Budapest in the inner city, most of the run will follow the river (excellent views, but less thrilling overall). We will start and end on Margaret Island, and follow the river down further south than I have been on foot, so I’m excited! 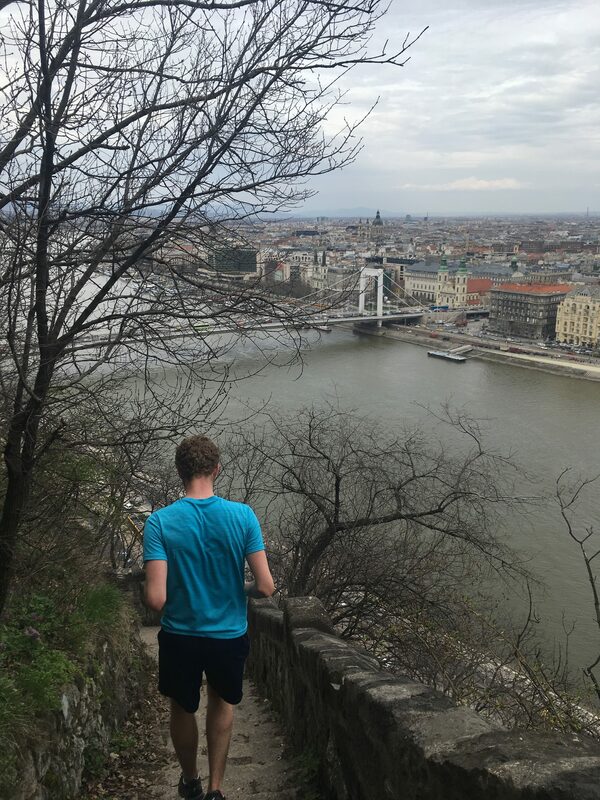 Me, during some hill training in Budapest. 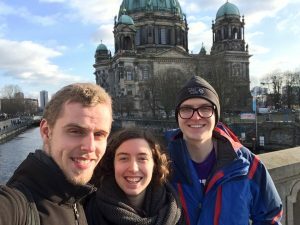 Other Cities: Berlin, Prague, and Vienna, Oh My! 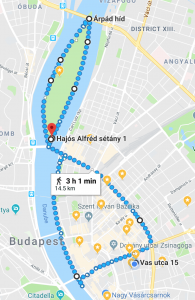 In other European cities, I recommend locating the nearest palace, castle, or imperial gardens, and running there. Usually, one of those three will be within three miles (#europe). 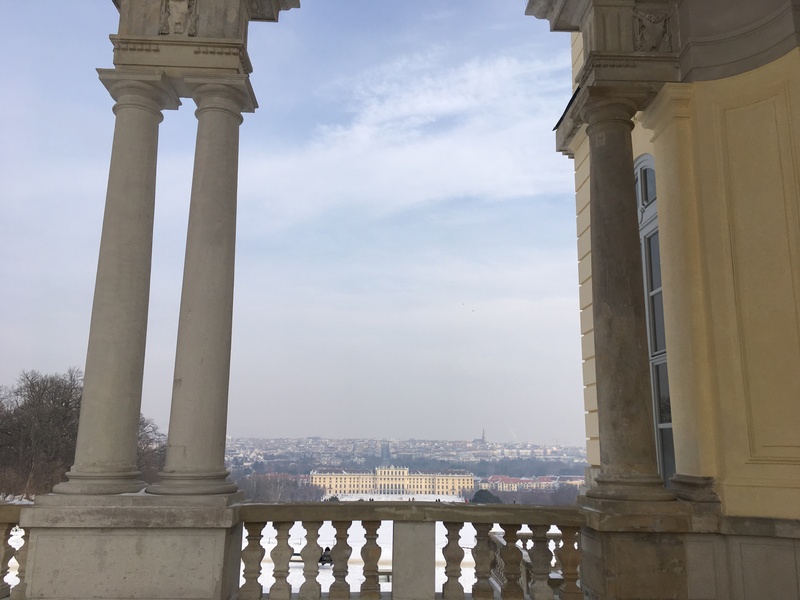 I’ve had a lot of fun exploring places as varied as the gardens of Schoenbrunn Palace and the train yards of Prague. 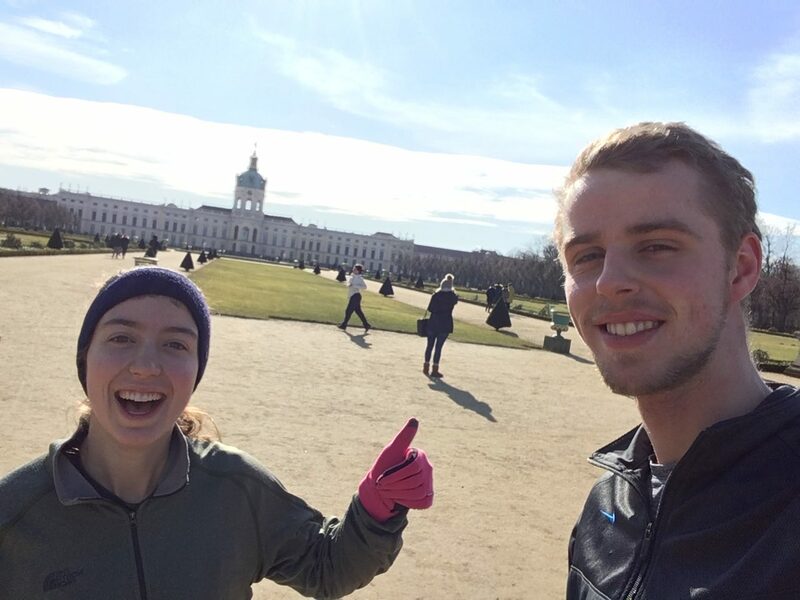 At the Charlottenburg Palace in Berlin with Caroline, my half marathon buddy and coach. In the gardens of Schöenbrunn Palace, the residence of Maria Theresa…Does this headband look dorky on me? 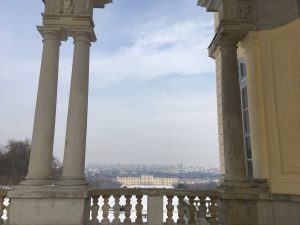 The view from the hill above the palace. I also would recommend running along whichever river runs through the city, sometime earlier in the day. There will be fewer tourists, better trails, and some excellent views. 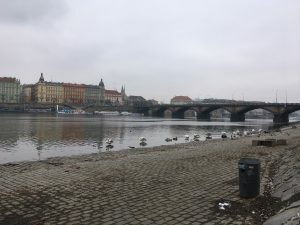 Just be careful of the swans in Prague. They are large and terrifying if provoked. 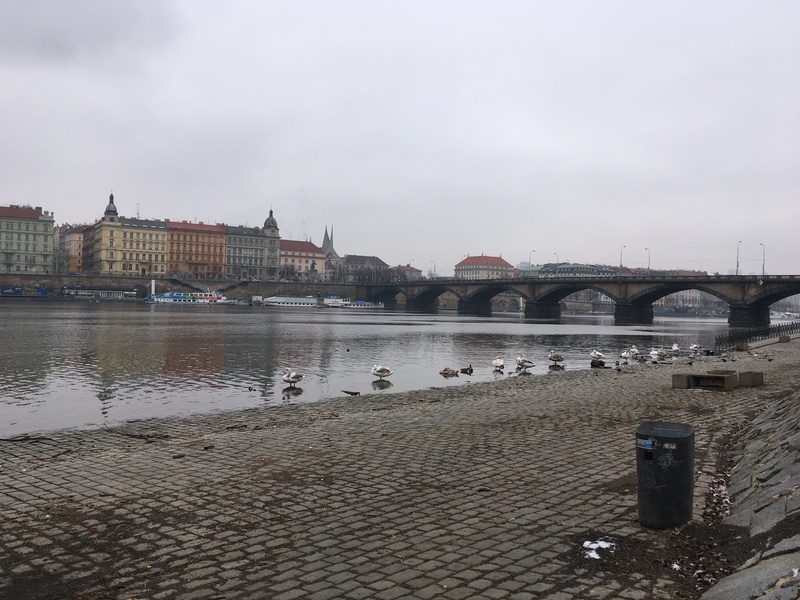 The swans from afar. DO NOT APPROACH. Podcasts are the best way to accompany a run. Top recommendation: Revisionist History Season 1. After spending a good amount of time running, I’ve decided that it is not the worst activity ever. My knees hurt less now than they used to, and I can keep up a good pace over several miles. 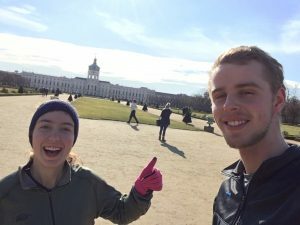 This past weekend when a group of students from BSM and AIT (a computer science program based in Budapest) met in City Park to play Ultimate, I noticed a significant change since the beginning of the semester. I could keep running as long as I wanted. My legs were fine, and my lungs were fine, and it felt great to push myself the whole time. I still have a long way to come in terms of my Ultimate skill—but one thing at a time, right? I wish that everything in life were as simple as training for a long run. 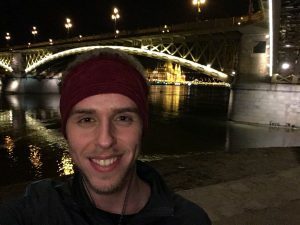 I know that if I set a proper schedule of long and short routes, punctuating my training with occasional fast runs, then I should gradually notice my stamina and strength improve. At any point in my regimen, I understand what I need to do next. 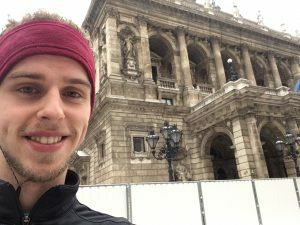 My experience studying abroad, however, has made it clear that not much works this way. 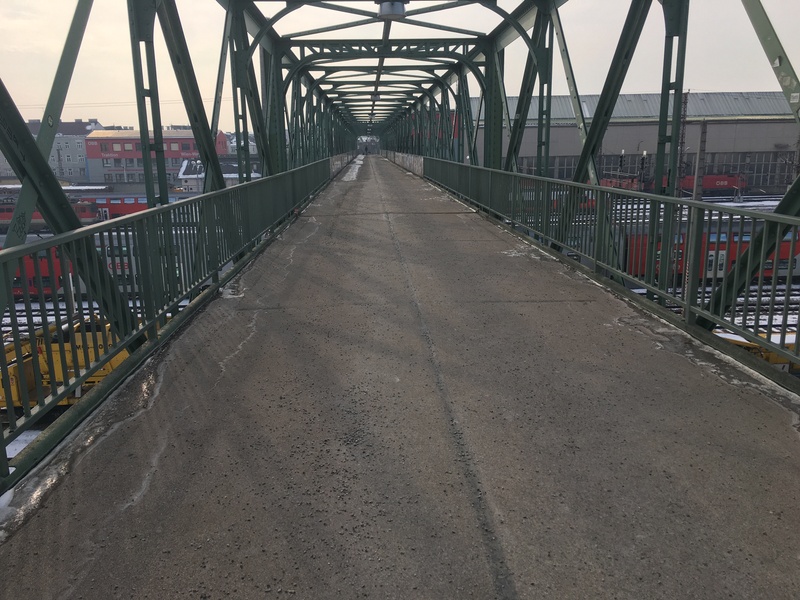 In math and life, I try to plan ahead and work diligently, but I’ve come to realize that I cannot expect the same linear improvement I’ve noticed with my running. There are pitfalls and detours, and more often than not my mathematical proofs and personal projects progress in cycles rather than in efficient trajectories. And there’s never a finish line. I think that right now, running is just the thing I need. During this week full of political uncertainty in Hungary and this semester of challenging coursework, I appreciate knowing that this Sunday—if I just continue to put one foot in front of the other—everything will turn out just fine. Nothing like good food after a good run. Thank you Alexis! 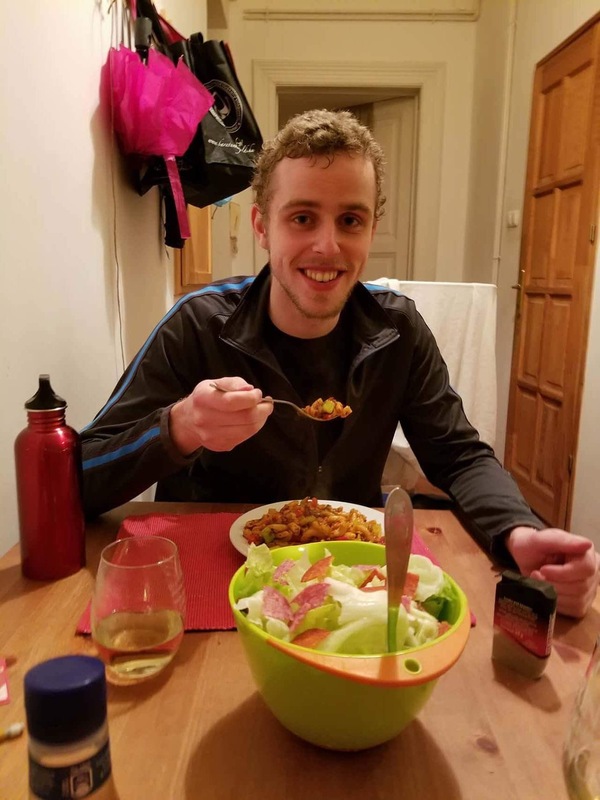 This entry was posted in Uncategorized on April 12, 2018 by nathaniellarson. The half went well! I got in under two hours, which was my goal. I really like Revisionist History. 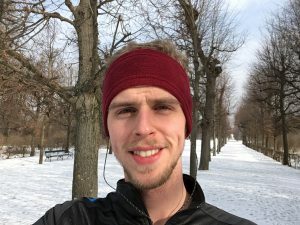 If you do get the chance to listen to it, I would love to talk with you about it!